Access to individuals with disabilities, including those who are deaf or hard of hearing and people who are blind or have low vision must be provided. This applies whether you are participating in a webinar or presenting one. 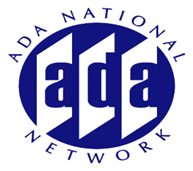 The Access Board and the Great Lakes National ADA Center has worked together in providing a monthly webinar series and has developed some technical assistance to assist others in ensuring accessibility. This session will examine the use of interactive features, captioning, audio connections, and other features as it relates to those who are planning to provide webinars as well as those who are developing webinar platforms.